Rigorous study has long occupied a central place in Buddhist life. Many traditions consider an accurate understanding of Buddha’s teachings to be indispensable to the attainment of the highest realization offered by the Buddhist path: enlightenment and liberation from all suffering. Sustained scholarship is also required to ensure that the teachings of the Buddha remain available for future generations. 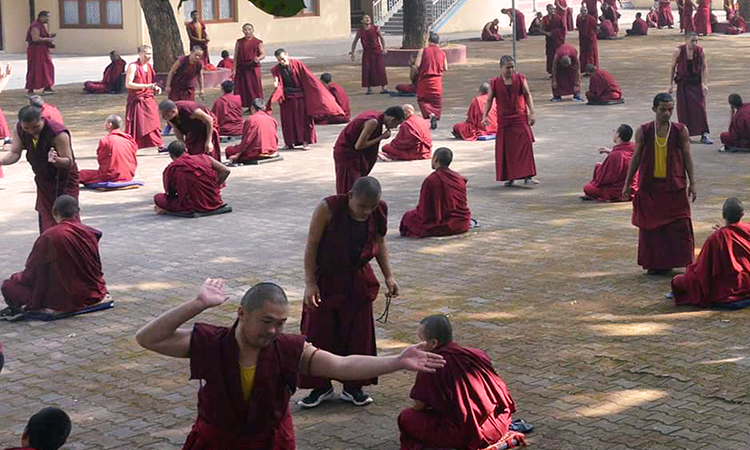 Both today and during the earlier history of Buddhism in India, Tibet, and elsewhere, monastic universities have served as key centers both for training serious practitioners and for preserving the teachings of the Buddha. This is Maitripa College’s Buddhist heritage and inspiration. 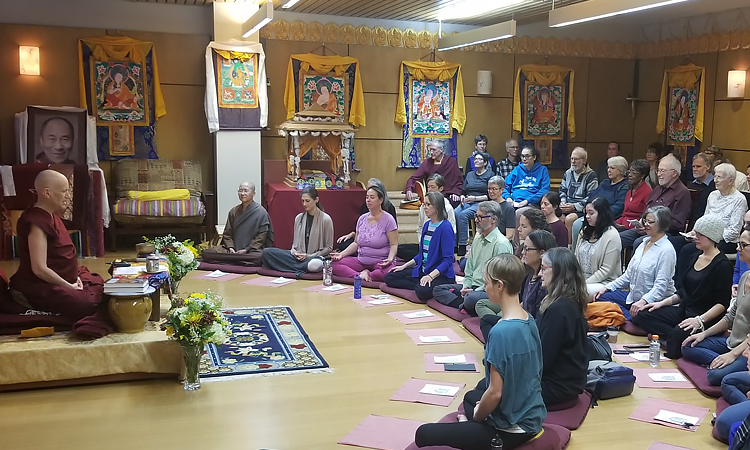 Maitripa College was founded in 2005 on the basis of the wish to educate modern western students in the philosophy and practices of the Tibetan Buddhist tradition, and to facilitate their journey of service to our communities and our world. Education at Maitripa relies upon a unique “three pillar” pedagogy; our program of study is based on a view of acquired knowledge as multidimensional, and grounded in multiple levels of human experience. For this reason, our courses use the structure of “scholarship,” “meditation,” and “service” as a pedagogical framework, seeking to create students who learn the material, contemplate it deeply, and, informed by their knowledge, act in the world. The integration of these three pillars in the minds and lives of a student creates a distinctive contemplative education experience. Maitripa College educators also rely on rely on Dee Fink’s Taxonomy of Significant Learning for course design, which presents course and curriculum design through the framework of six “dimensions,” contributing to an intentional, holistic education. Maitripa College is one of many institutions of higher education working with contemplative elements in curriculum. Among our colleagues in this field developing programs are Naropa University, Amherst College, Smith College, Emory University, Brown University, Rice University, University of Redlands, University of Michigan, and others. For more resources and information on contemplative education, see the website for the Association for Contemplative Mind in Higher Education.